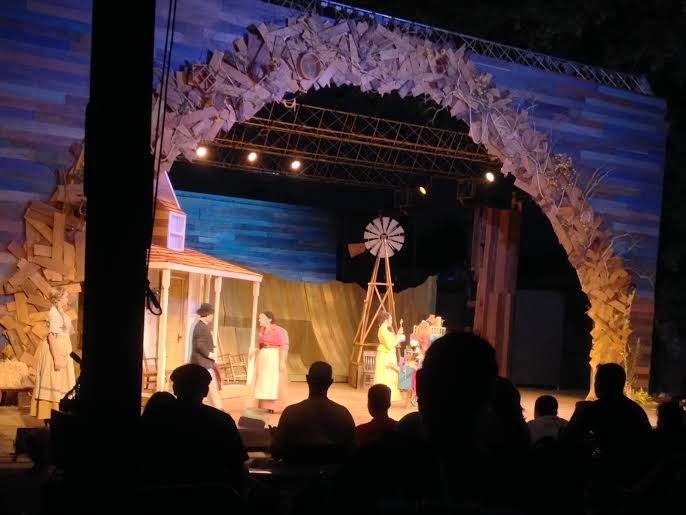 Austin Summer Fun: What to Know About Zilker's Summer Musical: Oklahoma! 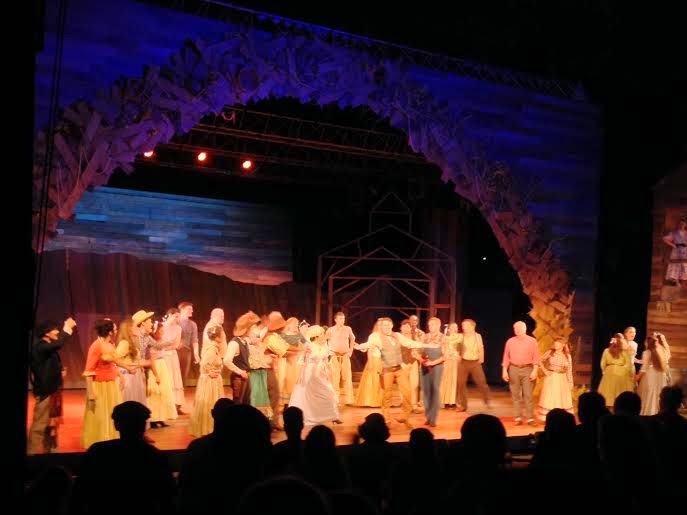 What to Know About Zilker's Summer Musical: Oklahoma! First, I need to freely admit that I LOVE musical theatre! I especially love classic shows with songs that I've been singing for as long as I can remember. 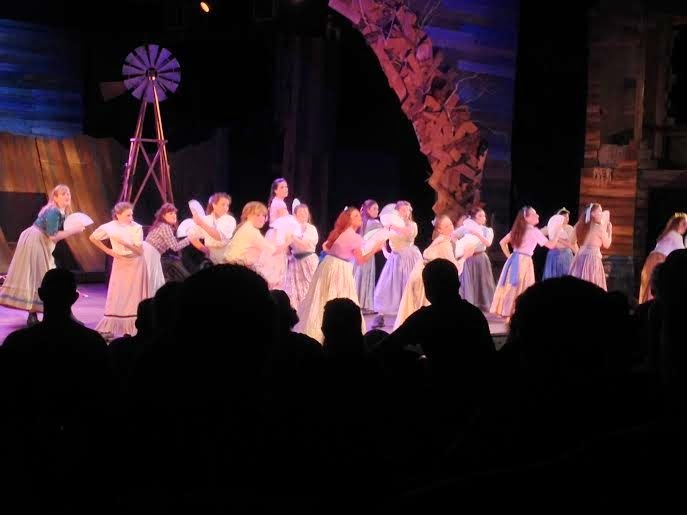 So I was pretty excited when Zilker Hillside Theatre Productions announced that this year's show would be Oklahoma!, one of Rodgers & Hammerstein's cherished shows. 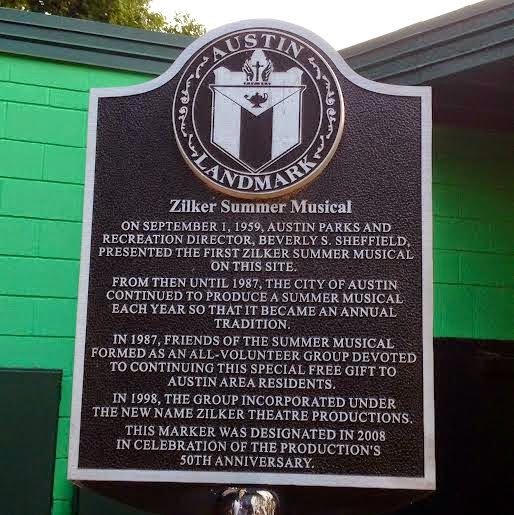 This is the 56th year that the Zilker Summer Musical offers Austinites high-quality entertainment for FREE. Oklahoma! runs Thursday-Sunday evenings in the park through August 16, 2014. I had the chance to see the show this past Sunday, and it really surpassed my expectations. But I realize that not everyone is as personally enthusiastic as I am to head to the outdoor show. When I was initially looking for someone to accompany me, I heard several reasons why friends decided to pass on my invite -- heat, bugs, parking concerns, and even someone who firmly believes that "you get what you pay for" and questioned if a free show would be of good quality. All of these are valid questions and reasons for hesitation, but I also think this production is truly worth your time and effort to get there! The quality of this show is top notch, and once there, you're sure to enjoy yourself. In attempt to help you plan ahead and make the most of your experience, I have rounded up some of the various questions I have been asked about attending the show. Yes! This show features the timeless Rodgers & Hammerstein classics "Oh What a Beautiful Morning," "The Surrey with the Fringe On Top," "I Cain't Say No," "People Will Say We're in Love," and of course, the title song, "Oklahoma!". Even if you've never seen this play or movie-version, you will recognize some of the tunes. The show starts around 8:30pm. On the night that I went, intermission was around 10pm, and the show ended around 11:20pm. This of course, could vary slightly each night. And if you're worried about staying out too late, you might want also consider the fact that it takes a little while for all of the cars to exit the parking lot. However, if you know that you're going to wish to leave a little early, you can certainly plan to do so. Just sit on the sidelines or way back, and you can easily sneak out without troubling those around you. 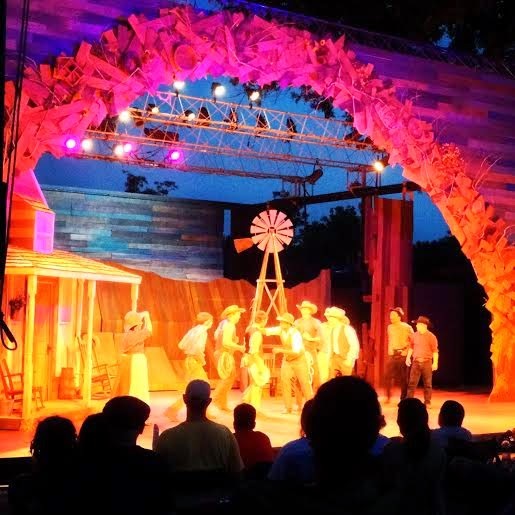 On Saturdays at 6:30pm, Zilker Hillside Theatre presents Lil' Ropers' Roundup! This looks like an adorable bonus activity to keep the kids entertained as you wait for the show to start. Kids will meet Oklahoma! characters "Gertie" and "Will" and have a chance to learn how to spin a rope and more. Seeing Oklahoma! is one of the items on the Austin Summer Fun Checklist for Kids. 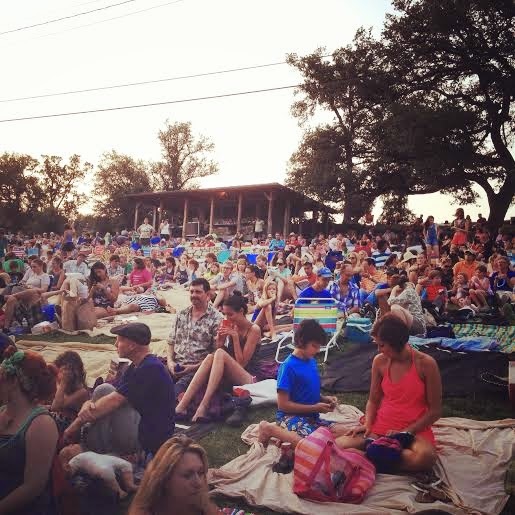 Don't forget to cross it off your list, and post your Instagram photos of yourself out enjoying the show with hashtag #AustinSummerFun. Freelance web producer, Heidi Okla is mom to three boys (ages 4, 6, and 8), and can't pass up any opportunity for fun family adventures that she shares on FreeFuninAustin.com. Heidi also covers theatre, health and beauty topics on Austin's LiveMom.com.